Bestselling multi-genre author of UPON YOUR RETURN and 21 other books. Mystery Blogger Award for 2017. A to Z Blog Challenge Survivor in 2016. March 2016 Empress of the Universe title - winner of the "Broken Heart" themed contest and the "I Love You" themed contest on Poetry Universe. SECOND CHANCE HEART and A LITTLE MAGICK placed in the TOP 10 on the 2015 P&E Readers' Poll. Nominated in the TRR Readers' Choice Awards for Winter 2015. 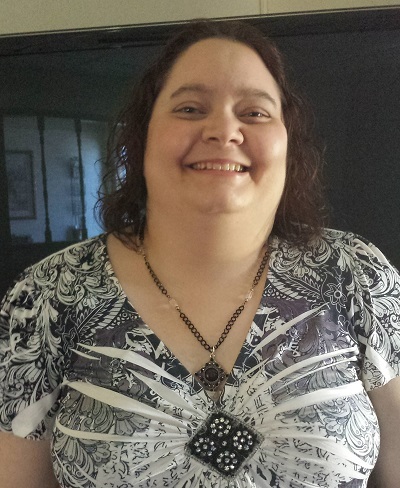 Poetry winner of the 2015 PnPAuthors Contest. The Versatile Blogger Award for 2015. Honorable Mention in the 2014 BTS Red Carpet Book Awards. Finalist and Runner-up in the 2014 MARSocial's Author of the Year Competition. Honorable mention in the January 2014 Reader's Choice Award. Liebster Blogger Award for 2013 and 2014. Top 10 Authors on AuthorsDB.com. Winner of the Great One Liners Contest on the Directory of Published Authors. Well, I’m a girl from the Midwest. I come from a pretty small town in Indiana. My family has always been very close. I’m into shopping, reading, creative projects (I design my own book covers sometimes, and whatever else strikes my fancy), and, of course, immersing myself in my characters’ worlds. I don’t mind the occasional night out, but I’m just as comfortable experimenting with a new recipe at home and cuddling with my fiancé while we watch a good movie. As I’m not sure if you mean my favorite book by any author, or one of mine instead, I’ll just say that my favorite book now is still Dark Lover by J.R. Ward. Though I’m current on the series, I have a soft spot for that book. Wrath is a total hottie, and I love the Black Dagger Brotherhood! 2. Could you share your experiences as a writer? I’ve wanted to be an author since I was nine years old. I feel like I’ve been writing stories all my life. In 2010, I got into the self-publishing craze, and in 2012, I received my first book contract from a publisher. I’ve been with Solstice Publishing ever since. Now and then, I still release books on my own, though. I’ve published in historical romance, contemporary romance, romantic suspense, paranormal romance, fantasy, science fiction, mystery/thriller, dramatic fiction, literary fiction and poetry, but I have works in progress in so many other genres and subgenres (dystopian and time travel, to name a couple). 3. Do you have a favorite place where you write your books? I usually write in a journal or simple one-subject notebook while in bed right before I fall asleep. But sometimes I’ll write in the living room, dining room or some place outside. I’ve also written at cafés in the past. One day, I plan to have an official writing room in my house, just like Virginia Woolf insisted a woman should have. If there’s decent feedback, then I’ll go back into the story and check the details mentioned to see if I can learn anything from the comments. However, if the individual is being negative just for the sake of being mean, I try to brush it off and move on. It’s just better all-around to stay professional about the whole thing. 5. Can you tell us more about Directions of the Heart? Sure! 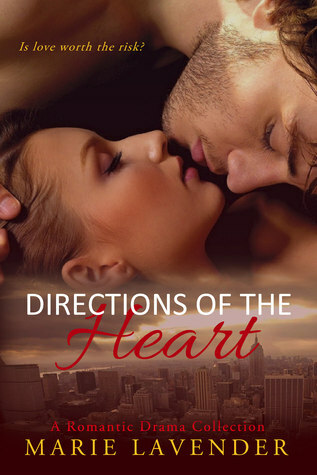 Directions of the Heart is a collection of tales with heartwarming moments and others that just as easily make you cringe or cry. It’s not to be taken lightly, but all my early readers loved the book. DoH, as I affectionately term it, is a journey of drama, romance and passion, as the characters encounter loss, growth, redemption and healing. Though I love them all dearly, the excerpt I’ve provided is from one of my favorite stories in the collection. The novella is titled “A Touch of Dawn”. 6. Aside from this, are you working on other books right now? Yes, I am editing a futuristic paranormal romance/urban fantasy, which is also book two of the Blood at First Sight Series. 7. How long did you write Directions of the Heart? I wrote all four novellas years ago, but it’s been six months since I went back and fully revised the tales in preparation for this book. 8. Do you think that the cover plays an important part in the buying process? Definitely! I think it’s half the battle. I always try to pick the best cover that honors the story and the characters, at least if I have any say in the matter. 9. Are you planning to shift genre in the future? I don’t think that’s an issue right now. I consider myself a multi-genre author; that keeps my mind open to new ideas and experiences. I don’t like boxing myself in. Plus, the stories continue to flow in various directions. A while back, I surprised myself by writing a horror scene. So, I try to not to dictate that I am in one specific genre these days. 10. Any message to your readers? You can find a full list of books on the ‘My Books’ page of my author website. I run three blogs; Writing in the Modern Age, the I Love Romance Blog, and Marie Lavender’s Books!. The best places to track me on social media are probably on Google+, Twitter and my Facebook profile or my official author page on Facebook. I also have a YouTube channel that you can follow. Additionally, you can subscribe to my monthly newsletter for periodic updates. “Jack?” she repeated the pained plea, and his stomach clenched. “I’ll try,” she managed and it broke his heart. He hung up, grabbed a fitness shake from the fridge, threw on a pair of shoes and was out the door. He went for a run every morning in his neighborhood so he knew how to be fast. He wasn’t kidding. He didn’t live far away from her either. Since his clients were always traumatized, it was useful to be on call. And to be prepared for any situation. Anything. Slit wrists, hangings, panic attacks, nervous breakdowns. The list went on. And he could get a psychiatrist pal on the phone at the touch of a button if admission or medications were necessary. It also helped to have an excellent memory; he could dictate all his notes to his recorder after any session. But, nothing…nothing had ever scared him like her soft plea. It was hard to admit the woman had gotten to him, but she had. And he wasn’t going to lose her. When he pulled the car up, he shut it off as quickly as possible, shoved the keys in his pocket then scrambled from the vehicle. Jogging up the walk, he pounded on the door. He pushed past her, casting pleasantries aside. “How is she?” he demanded as he turned to face her. Mrs. Johnson wrung her hands. “I don’t know. I’m not sure what’s wrong. She…” She shook her head. The woman pointed the way. Jack followed a corridor to a small bedroom. Pink walls, pink spread. Caitlyn had thrown a red blanket over the window to block out the light. He saw a huddled form beneath the bedspread, reached out and threw back the fabric. He sat down to get a look at her. 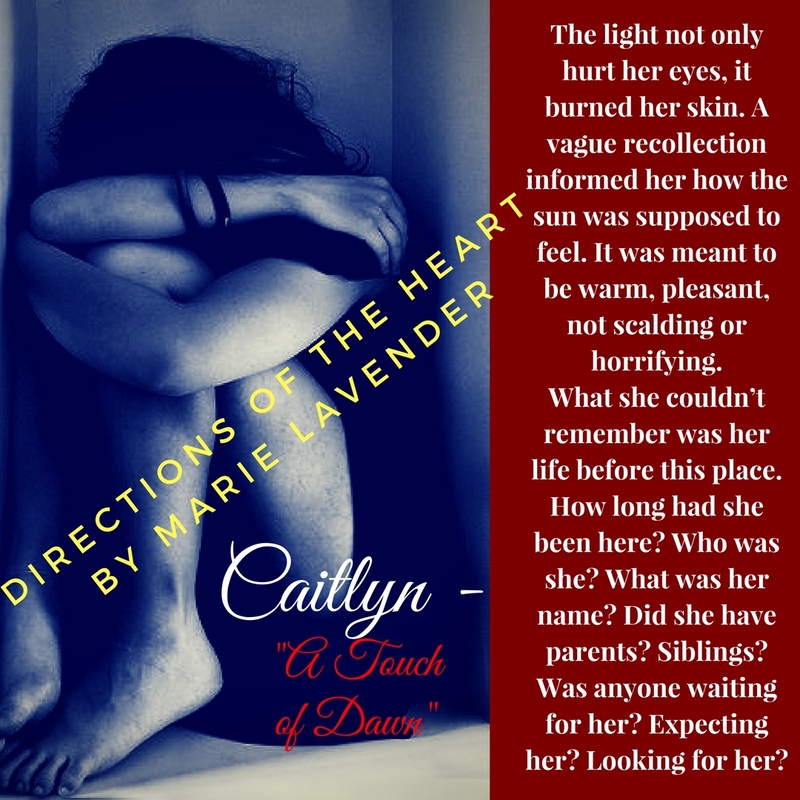 Caitlyn rocked, wet tracks down her face. She must’ve been crying. Her eyes were shut tight and her hair was wild. She wore a pair of lavender sweats, and was pretty much unresponsive to his touch. He checked for marks on her arms and wrists, but found nothing. So she hadn’t tried to hurt herself. He suspected what was happening, but could only try to pull her from the nightmare. It was too easy for someone who had been traumatized like she had to revert to a catatonic state and he wished that hell on no one. A small sound came behind him, and he glanced back to see her mother cover her mouth. It didn’t matter right now. It couldn’t. “Come on. Come back to me. Caitlyn, can you hear me? It’s going to be okay. I’ll help you get through this,” he vowed, and almost choked on the words. He pushed through the panicked flutter in his chest, gathering her into his arms. “You really mean it,” she whispered, her tone incredulous. The woman slipped out of the room. “Sorry to hear that, sweetie, but they are necessary. And if you do use the sleeping pills, don’t try to drive, okay?” She murmured an agreement. Satisfied, he held her against his shoulder, the minutes passing, until she went limp and her breaths evened out. It shook him that he could’ve held her forever, and he wouldn’t have had a problem with it. He checked her eyelids to be sure she slept before he covered her up with the bed’s blanket and spread, and cleared out of the room. By the time he was done with his soliloquy, Caitlyn’s mother was weeping. Hard. He crossed the room and grasped her shoulders, but didn’t move to embrace her. He couldn’t offer much sympathy to the woman right now; it wasn’t in him. The past was closing in on him fast. The flash of a dark closet with only a rim of light at the bottom was all he could see for a moment, but he managed to shake it off. Thank you Layerace for the banner!